So, why did I do it, you might be wondering. 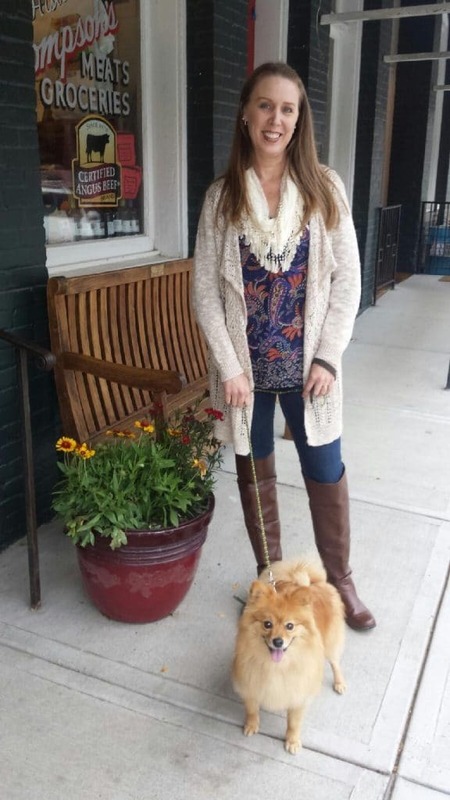 Well, when I started Not So Mommy…, I wanted to help others not feel so alone on this journey. I wanted to show that there is life after… It is possible to climb from the pit of despair. You can redefine, find joy. You can live a beautifully, imperfectly perfect life. 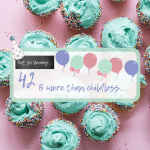 While I truly believe Not So Mommy… shows this, I didn’t start writing my blog until after I had made it through. 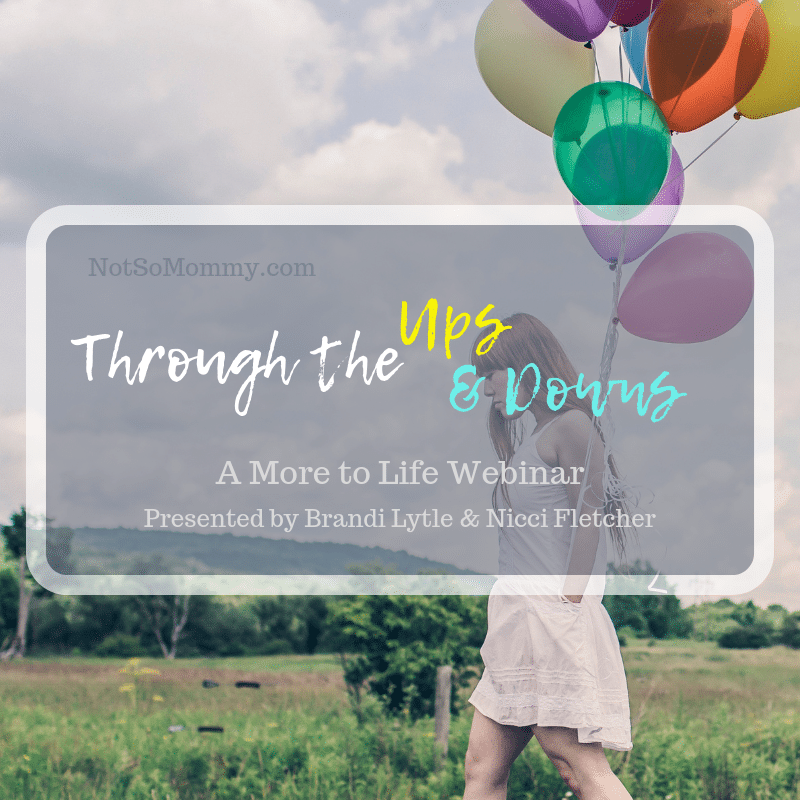 Below is the one-hour video of Nicci and my More to Life Webinar, “Through the Ups and Downs.” Underneath the video, I’ll give an outline of what I talked about, plus links to Not So Mommy… blogs that I believe will be helpful in giving more information and insight. At the end of this blog, you’ll find a link to Nicci’s website so that you can get more information about what she discussed. Plus, I’ll post the link to More to Life’s 2019 Webinar Series. (Not So) Helpful: Everything happens for a reason. (Not So) Helpful: God knows best. Not So Helpful: Don’t give up. 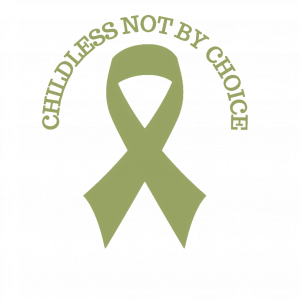 Last, but most definitely not least, I want to extend a huge THANK YOU to Heather and More to Life for inviting Nicci and me to share our hearts. And THANK YOU to everyone who has watched the video and read this blog. Your support brings such validation and affirmation… You really are fabulous! Thank you for your lovely words, Nicci. And as always, thank you for your support, encouragement, friendship, and love. As I read your blog, I, too, noticed how differently we both approached the same topic. It poignantly shows how different people can have quite different perspectives about the same thing. It’s one reason I’m so grateful to have met you and be able to refer my Not So Mommy… readers to Canbace Diaries. There are so many paths to acceptance… I’m glad our community is growing with various voices. It is sure to help many find their way!